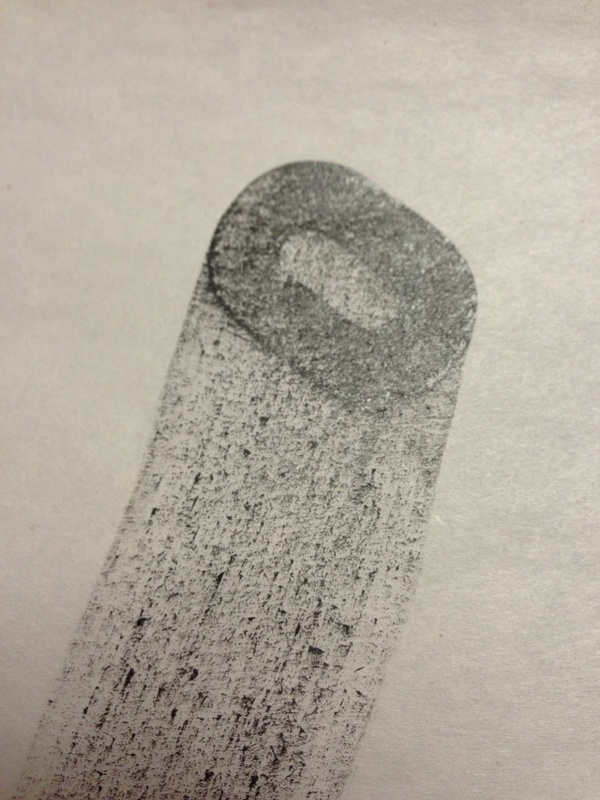 In July, Tricia Treacy will be teaching at the Summer Institute at the Wells Book Arts Center. The course titled Working with the Iron Press: Experimental Analogue and Digital Typography offers participants the opportunity to work with wood type in a new way. This is Tricia’s first time at Wells College and we are thrilled to have her! Who better than someone who works in an interdisciplinary way to teach students how to use Victor Hammer’s very own iron hand press? Although an iron press conjures up thoughts of the old, this is a contemporary course that blends the analogue with the digital. Workshop participants are encouraged to experiment as well as break all the rules! In this interview, Katie Baldwin (KB) talks to Tricia Treacy (TT) about her studio practice and the workshop she will be teaching this summer. 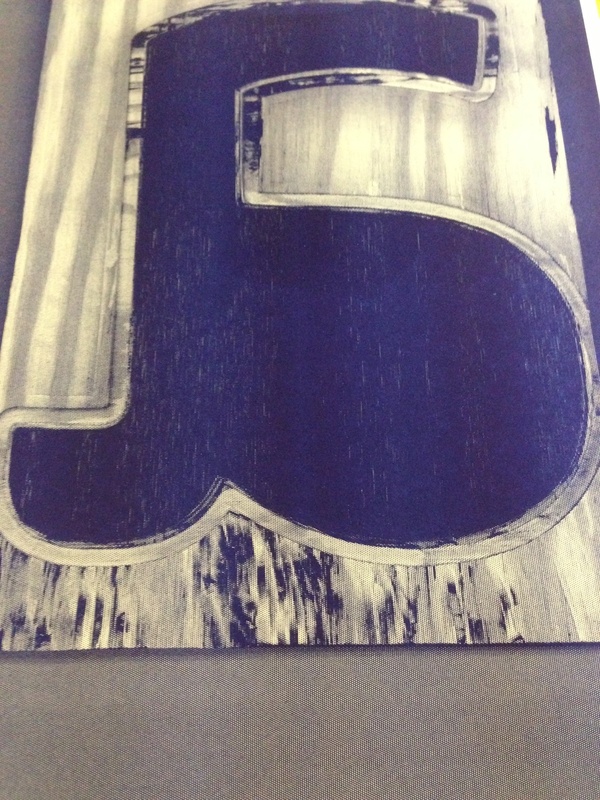 (KB) I know you just finished a huge project with Ashley John Pigford called the Vista Sans Wood Type Project. It seems to be very relevant conceptually to the course you are teaching at the Summer Institute. Update me on the status of that project—and what general thoughts do you have about it, now that the portfolio is finished and the book is published. (TT) The Vista Sans Wood Type Project (VSWTP) book is currently at the printer and due out for release May 15 in conjunction with TYPO Berlin in Germany. The book, which was designed and self-published with Ashley John Pigford, was made possible with crowd-source fundraising via Kickstarter in February. The small run (600-700 copies) designer-series art book contains 130 pages about the creative process of VSWTP, all 21 artists/designers/studios that participated in the collaboration, and contributor essays from professionals in the field. The conceptual idea for the entire project, using the wood type letters that spell “touch” with post-digital technology, also drives the book production which reflects that process using a combination of offset printing, letterpress, and hand-sewing. The entire two-year project has been a true labor of love. It was a ton of work, but we are both extremely proud of the outcome, particularly how the book will showcase the process of artists working with experimental and contemporary letterpress. We are also SUPER appreciative of how the letterpress, type and design communities supported the project. That was extremely humbling. We launched a website www.vswtp.org at the start of the project, which documents the process and successes of the project. Soon, we will be uploading process images of the book and where people can purchase it. (KB) Now that Vista Sans is done, how are you spending your time in the studio? (TT) Well, to be totally honest, I am still working on the VSWTP book during all waking hours. In my studio, we are currently letterpress printing the front and back covers for the book, and next week we will be hand-sewing each edition. Believe it or not, I am also trying to finish up a few other projects including a recent artist book called falter that was launched in February for Codex 2013. The books are being sewn in the studio, and John DeMerritt Bookbinding in CA will be completing the edition binding for me. (TT) And I have several other projects currently brewing (mostly collaborative in nature), but they are all in the brainstorming phase, so it’s too early to identify their direction. 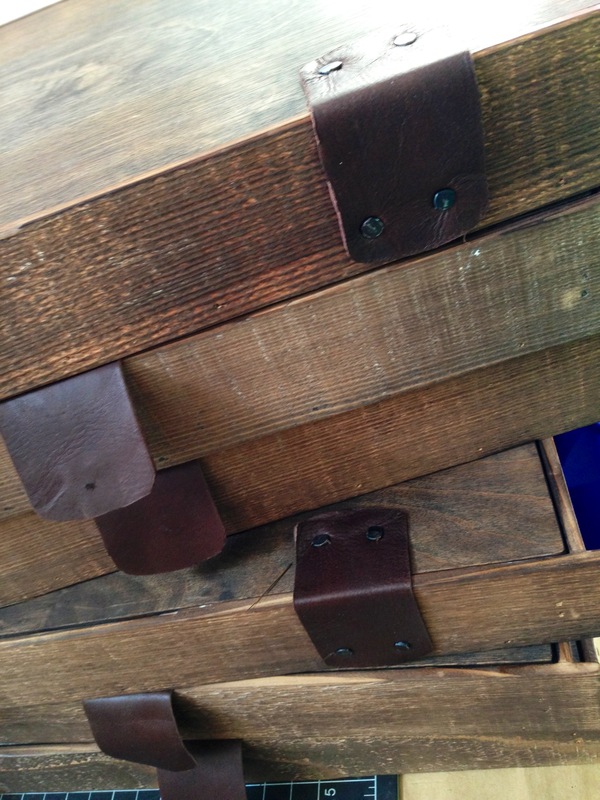 (KB) I am really excited that you will be teaching a workshop that uses Victor Hammer’s actual iron hand press. What drew you to creating a course that uses his press? (TT) I first learned to print on the hand press with Peter Kruty in his Brooklyn studio back in 1999 while I was in graduate school. We never completed the printing, but I sure had a great time on the press with Peter, trying to fine-tune things. I learned a lot about the details involved in traditional printing on the hand press. I am proud to say I learned the traditional method first. Since then, while teaching at Common Press (University of Pennsylvania,) we have a hand press that gets used more so as a proofing and experimental tool. When I first started teaching there in 2009, Matt Neff, fellow faculty member and printmaker, who runs the press, blew my mind when he told me that he printed a T-shirt on the press. Since then, it has been the favorite tool in my classroom to use in an experimental way with fast results. Students get impatient waiting for results with letterpress and I love having them print on the hand press on the first day in an experimental way. It often becomes the press of choice for my students, and they don’t feel as limited as they do on the Vandercook press. (KB) I am very interested that you will be blending this old technology with new technology. 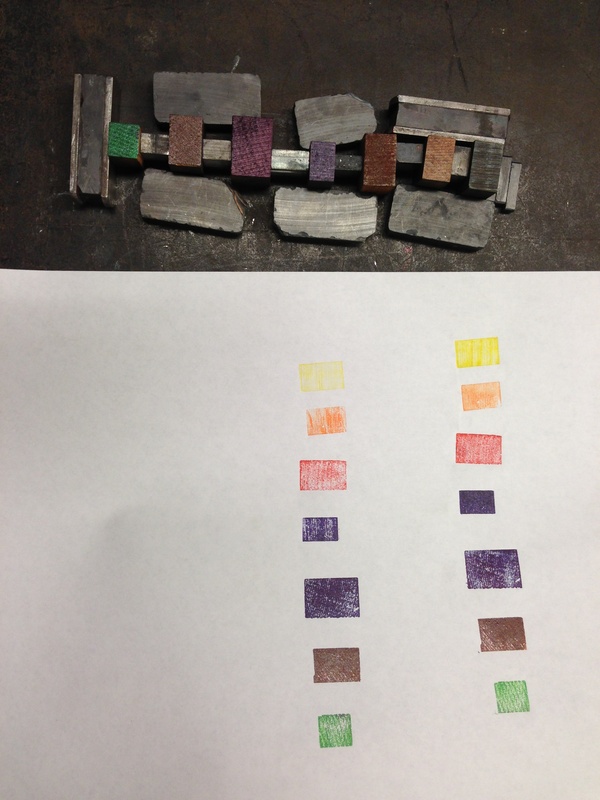 Can you tell me a little bit about what people will be doing in your course: Working with the Iron Press: Experimental Analog and Digital Typography? (TT) This course is something that I have been mulling over for some time, and I am really excited to get a chance to teach it at Wells. I plan to introduce the hand press to students as a tool to play with a fabulous wood type collection and think about type in new ways, including overprinting, pressure printing, and possibly bringing the computer into the scenario. Students will bring their own interests and skills to the course and I will help guide them to use typography to tell a conceptual story. Students will work both collaboratively and individually, and we will make a book or series of books that can be exchanged. (KB) What do you hope SI students will take away from your course? 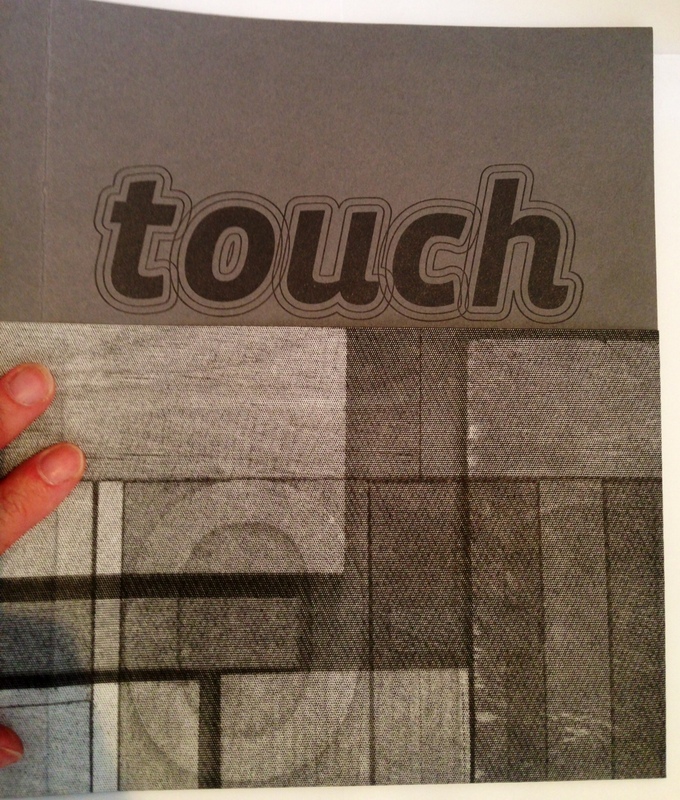 (TT) A love for the hand press and a new perspective on typography. 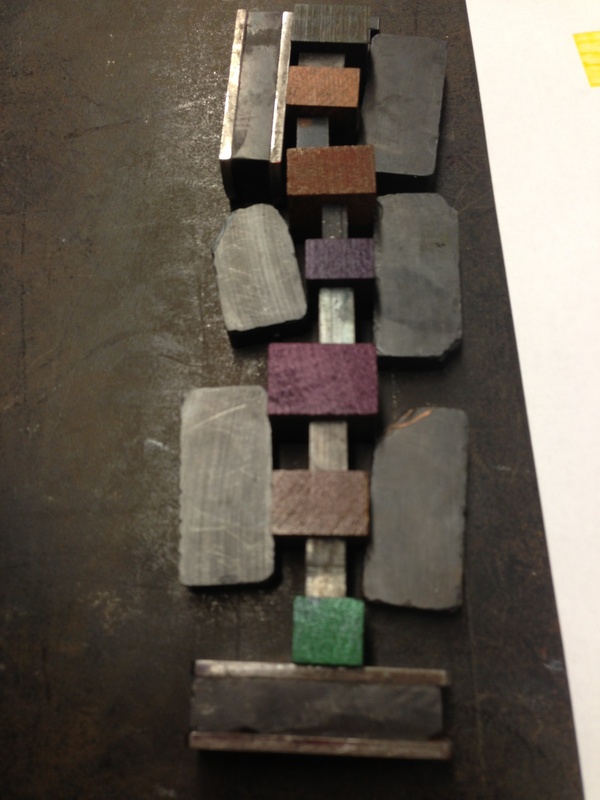 Many students are scared by the hand press, and I want them to realize how accessible it can be for experimental work. (KB) Pretend I am handing you a crystal ball. As you peer into it, what is the future of printmaking, book arts, and design? (TT) A world where they all overlap and a new definition of the combination emerges. . .
(KB) This is your first time at the Wells College Book Arts Center—based on all the rumors you’ve heard, what are you looking forward to the most? (TT) Great conversations and ice cream treats! (KB) This last question is actually from Sarah Bryant: How would you approach cracking open a safe? (TT) Very carefully and with my finest bookbinding awl and chisel. Tricia Treacy is an interdisciplinary artist who has been running her own letterpress design studio, Pointed Press Studio—a nexus for collaboration and creativity in the design/typography/printmaking areas—in Swarthmore, PA, since 2000. Collaboration and experimentation compose a large part of her creative studio practice. She was a co-initiator and collaborator of the recent international, vista sans wood type project. Tricia has taught book arts, digital photography, graphic design, letterpress and typography courses at the Rutgers University, the University of the Arts, the University of Delaware, and University of Pennsylvania School of Design. She exhibits internationally, and her artists’ books are in major collections throughout the country and abroad. This entry was posted in Uncategorized and tagged book arts, iron press, letterpress, printmaking, vista sans woodtype project by wellsbookartscenter. Bookmark the permalink.